On March 29, 2018, student Sarah Grosz was removed from her position as the President of Syracuse University's Entrepreneurship Club for violating the University's "email policy". 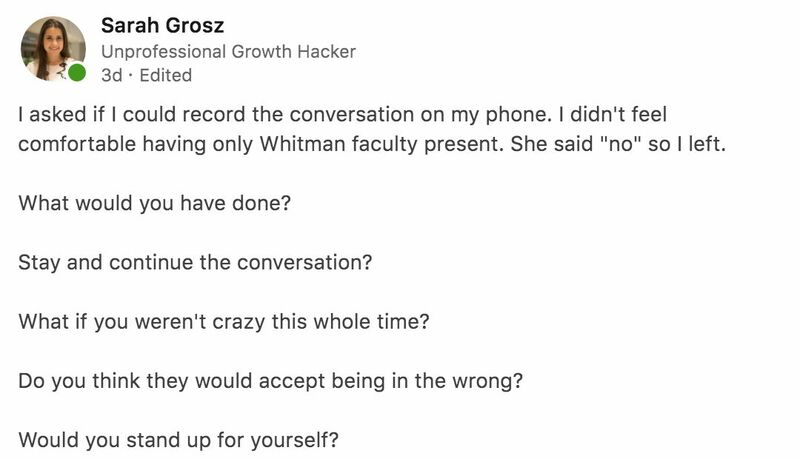 Grosz remains frustrated with the University and Whitman's Assistant Dean for not providing a full explanation on the policy she supposedly broke. The Tab Syracuse reached out to the Assistant Dean of Whitman and received no comment on the case against Grosz, due to "student privacy laws". Grosz had spent months planning and putting together an event called "Entrepalooza". The event was designed for student entrepreneurs to network and compete for fun prizes. One competition included a "60-Second Pitch Competition" which came with a $500 prize for first place. Entrepalooza was to be held on March 30. Grosz's email to Syracuse University students. Entrepalooza has been rescheduled for April 13th. "The one issue was that I didn't think a lot of people knew it [Entrepalooza] was happening," said Grosz in an email to The Tab Syracuse, "So Tuesday night (3/27) I went to Hunter.io, searched "syr.edu", and it gave me a list of 4,999 Syracuse emails. 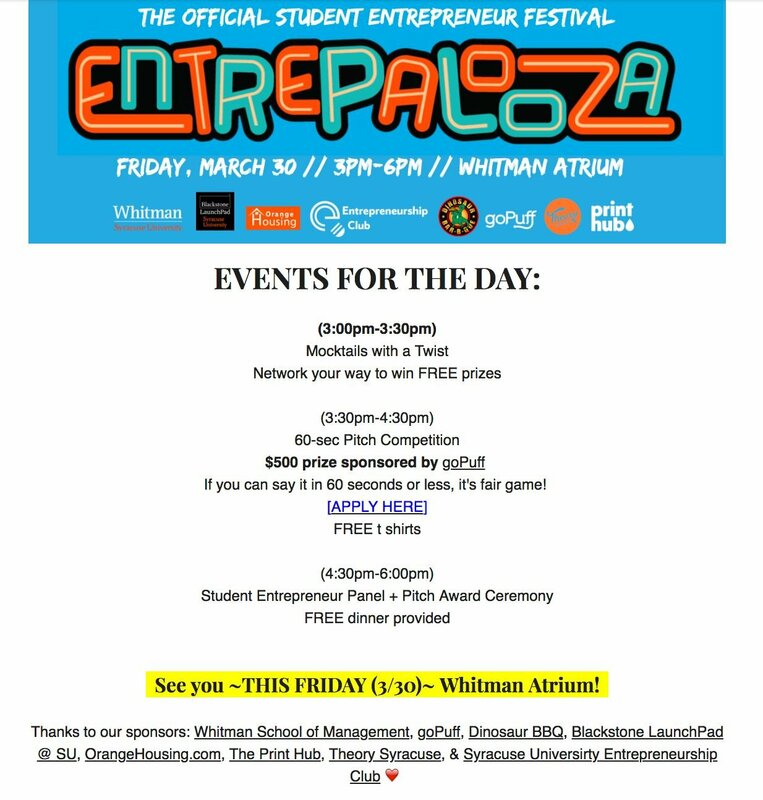 I came up with a clever email copy which included a flyer for Entrepalooza." "We believe in a more open and transparent professional world. We promote this value in our company and our products." 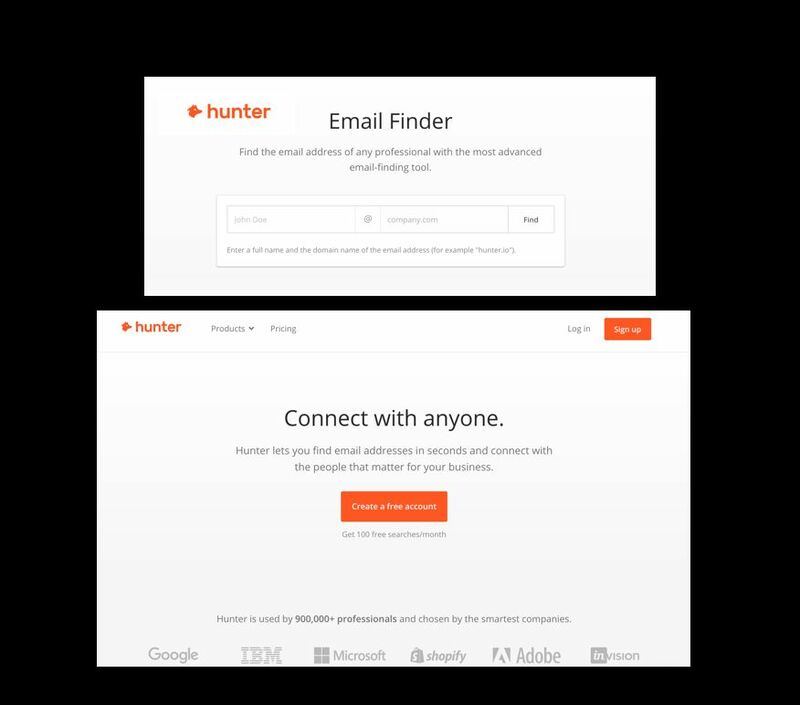 – Hunter.io Hunter.io is a legal website that allows you to search for emails. The following day, Grosz received a phone call from the Whitman Assistant Dean for Undergraduate Programs, Lindsay Quilty. According to Grosz, Quilty asked her how the email list had been obtained and "that sending that email was illegal and against school policy". The call was ended with a warning that the University may cancel Entrepalooza. On Thursday, March 29, Gorsz received another phone call from Quilty, announcing that Entrepalooza had been postponed. "Because I wasn't following university policy," explained Grosz, "they [Syracuse University] were immediately removing my position as President of the [Entrepreneurship] Club." Quilty sent a follow-up email to Grosz, reiterating their phone call discussion. "The issue was that Lindsay never told me the exact policy I violated." explained Grosz, "A few hours later I responded via "reply all" requesting me the exact policy I violated in writing. No one responded." Through her emails, Grosz asked Quilty three times for the exact policy she had violated by sending the email. The first two received no response while the third from Quilty said Grosz broke "email policy". Grosz then set up a meeting to meet with Quilty, in person, to discuss the situation. Grosz allowed The Tab Syracuse to share her responses to Quilty's emails; however, Quilty's emails are confidential. On Wednesday, April 4, Grosz informally met with Quilty and Kerri Howell, Whitman's Director of Communications and Media Relations. Grosz asked if she could record the meeting; however, her request was denied. She left immediately. Grosz has taken to LinkedIn and has received much support from current students, professors, employers, and other LinkedIn Members. Grosz allowed The Tab Syracuse to share her postings. On Thursday, Grosz met with Quilty again. "She told me there is no Whitman policy book and all decisions were made based on 'what they felt was best'", explained Grosz, "I printed out the [Syracuse University] email policy…she refused to highlight what statements I violated within the policy." Grosz is in the process of setting up a formal hearing with Syracuse University to determine which policy she actually broke. "I don't think this is a normal circumstance. Most professors, faculty, and staff I've interacted with have been amazing." says Grosz, "I'm disappointed to hear that there's no way for a student to defend themselves from those who hold positions of power within the university, especially coming from a community like Whitman where I've put countless hours of hard work." The Tab Syracuse will continue to cover further developments.